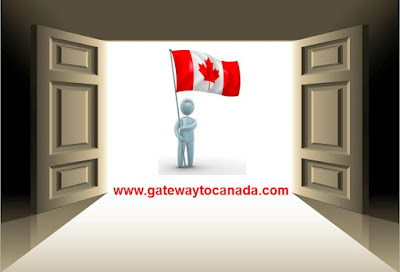 June 2012 Visa Bulletin - Be ready to enter when the door opens - Gateway to Canada | Canada Immigration Consultancy! The clock is ticking and it's ticking fast. Get ready for July 1, 2012! The new Ministerial Instruction will be issued on or before July 1, 2012. Our guess is it will be issued around 3rd week of June 2012. Be ready to enter when the door opens. It is expected that there will be a limit again in the number of applications to be accepted under Federal Skilled Workers program once it open this coming July 1, 2012. If your occupation is included, you must be able to submit your application. The window of opportunity may be too short. Be ready! 1. Fill out the forms by visiting http://clients.go2canada.com. Contact your Agent if can no longer remember your user name and password. This is also where you will see the status of your application. 5. You will be advised when to prepare your bank draft for the Visa Processing Fee. But for for proof of funds, you may already submit your bank certificates. Please be guided with the amount required for your settlement funds. Q. Is there an age limit for Live-in Caregiver Program applicant? A. No. Nothing was mentioned about the age limit requirement in the Live-in Caregiver Program guidelines. The employer decides the age of the worker he/she wants to hire. However, one must be realistic. You can't expect that a 50 year old LCP applicant to take care of an elderly will get an approval from the Visa Office. Q. Is the list of July 2012 Priority Occupations already out? A. As of this writing the list is yet to be released by the Immigration Minister through another Ministerial Instruction (MI). If you're asking this because you are interested to live and work in Canada and that you will prepare your documents if your occupation is included in the list, you are asking the wrong question. If you are seriously considering to give your family a better quality of life by immigrating to Canada, preparation starts now. If you are planning for your family's future, you don't start five years from. It wasn't raining when Noah built the ark! Ms. Glaiza was sponsored by her husband under the Family Class sponsorship program. Her application was processed within 6 months. Current processing times by Manila Visa Office for spousal sponsorship is 9 months. Before moving to Canada, Filipinos are required to undergo Pre-Departure Orientation Seminar (PDOS) conducted by Commission on Filipino Overseas (CFO). Additionally, we at Canadian Immigration Consultancy provides an in-house orientation seminar to guide clients with visa before moving to Canada. If you recently received your PR Visa, you may email Ms. Michelle Ramos to reserve seat for the orientation. It's Free! It will be held at Bayview Park Hotel in Manila. You may send email to mramos@go2canada.com or contact her at 2406500 loc 7713. If you have friends and or relatives who are interested to live and work in Canada, too, you may invite them to attend as well. Registration fee is P500 per attendee. For seat reservation, click here. Applications filed before February 27, 2008 are those filed mostly using the Simplified Application Process. There's a huge backlog from this batch and to address this, Citizenship and Immigration Canada proposed a legislation away this backlog. Tha last application processed under this batch are those filed November 2004 (based on cases we filed). The proposal is yet to be approved. MI-1 applications are those filed at Centralized Intake Office from Feb 28, 2008 to June 25, 2010. Applicants under this batch are those with at least one year experience in of the 38 high demand occupations. For this batch, the latest Medical Instructions were issued to cases filed on March 25, 2011 (documents submitted to Visa Office after CIO assessment). MI-2 applications are those filed at Centralized Intake Office from June 26, 2010 to June 30, 2011. Applicants under this batch are those with at least one year experience in any of the 29 in-demand occupations and were promised 6-12 months processing period. All MI-2 applications now have assessment result. The latest who received Medical Examination requests under this group are those filed to CIO dated June 17, 2011. MI-3 applications are those filed at Centralized Intake Office from July 1, 2011 until the 10,000 cap was reached few days ago. CIO is no longer accepting new applications under Federal Skilled Workers program, except those with AEO or currently in Canada under a PhD program.